Placing our intranet and portal services at the heart of your digital workplace. 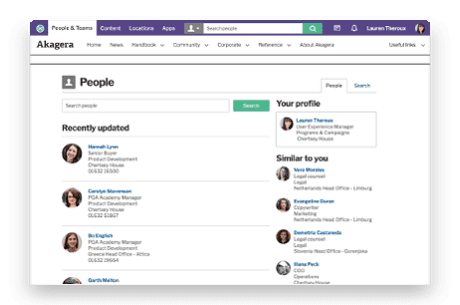 Our view of the digital workplace is the totality of all of your systems, connecting your customers, employees and partners, through the intranet and extranet experience that is perfect for your enterprise. A primary interface that pulls together all of the digital touchpoints you want to store or integrate with, Invotra offers engagement with blockchain, Intranet of Things, any device, Artificial Intelligence, voice, video, virtual reality, deep learning, line of business systems and more. 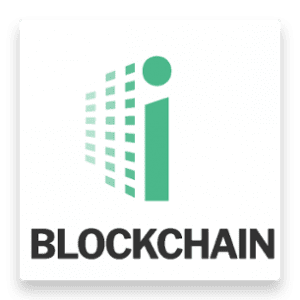 Enhance compliance, auditability and security using blockchain with our intranet and portal products. At Invotra we are working to ensure that our clients are best placed to leverage this amazing technology in the safest, simplest manner for their digital workplace requirements. Invotra allows enterprises to connect their teams to their surroundings. 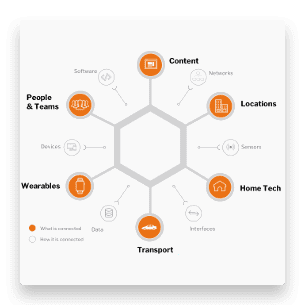 Driving better productivity and efficiency using our Business Integration Models (BIM), creating your own Intranet of Things (IoT) connects your buildings and technologies to your employees and your teams.